FRANKFURT, GERMANY - circa 2017: City view of the European Central Bank (ECB). The ECB Headquarters is a building complex with a height of the main building of 185m. 4k00:20FRANKFURT, GERMANY - circa 2017: City view of the European Central Bank (ECB). 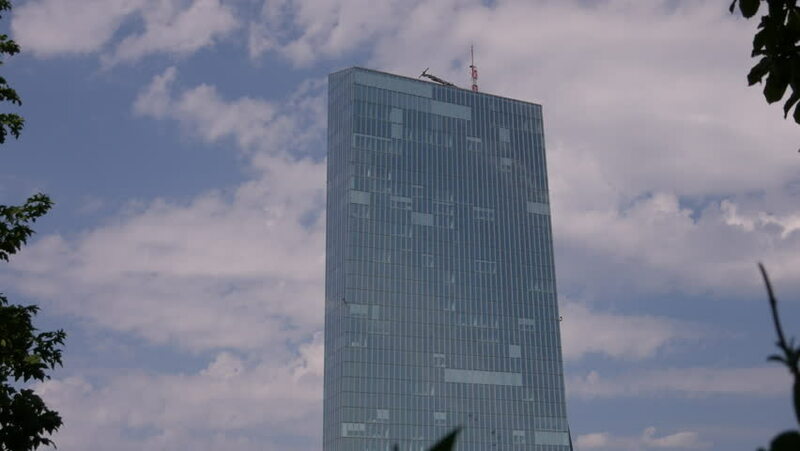 The ECB Headquarters is a building complex with a height of the main building of 185m.